If you were a menthol smoker, you're probably always on the lookout for menthol e-liquid minty flavors that will satisfy the minty cravings. 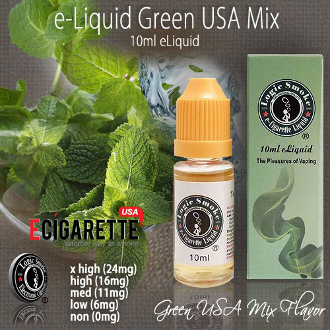 You are in luck, our Green USA Mix E-liquid from Logic Smoke is the one for you. It's pleasant mix of tobacco flavor and wonderful menthol is sure to keep you coming back for more. Pick up a bottle of Logic Smoke Green USA Mix E-liquid and end your search for the perfect menthol flavor.